This is the node in which all your other nodes in the end link to. It has several inputs that all serve different purposes. 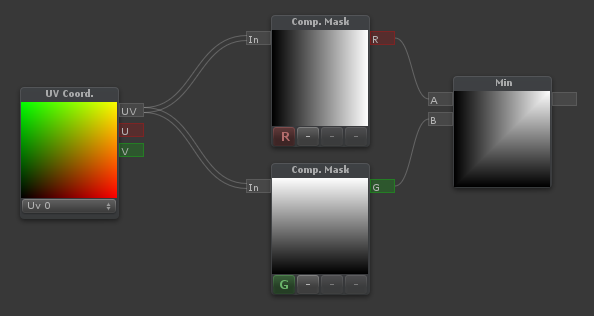 This is the main color of your shaders. 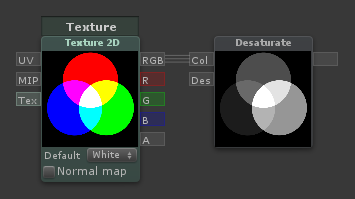 The diffuse color will receive light, have light falloff depending on the light-normal angle, and be shaded by shadows. This is the exponent of the falloff of the light-normal angle. 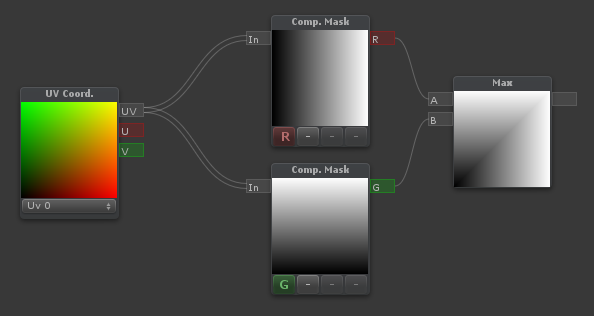 Can be used to get an extra metallic look when using values above 1. Note that this does not currently conserve energy, whenever that is enabled. 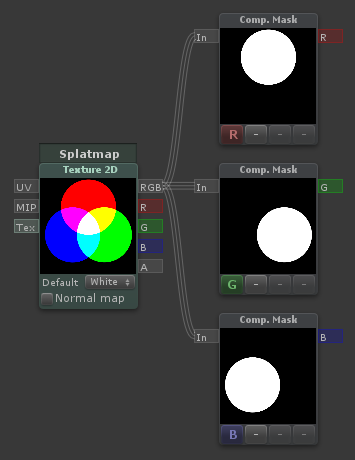 This is the color of the specular highlights of your shader. 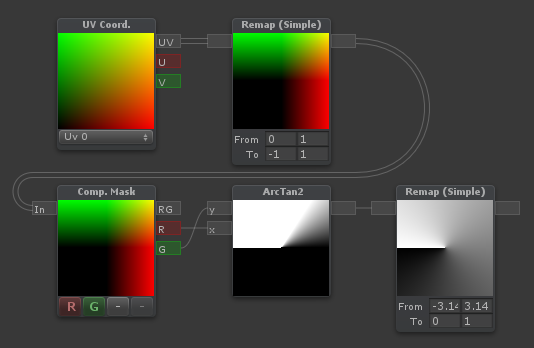 Higher values are brighter, black will not affect the shader at all. This is the exponent of the specular highlights. Higher values will make it look shiny, values approaching 0 will make it look matte. 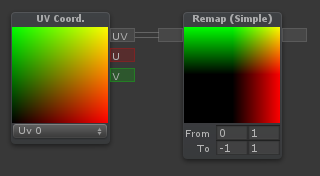 Note that if you have unchecked gloss remapping, you should avoid using gloss values below 1. 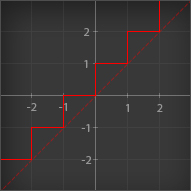 This is the tangent-space normal direction, where you can connect normal maps or custom normal vectors. 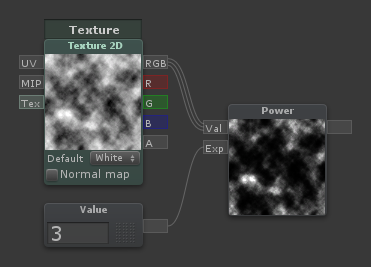 This is simply light that is always added to your shader, regardless of the lighting conditions. 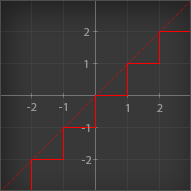 This controls how much light is passed through when the light source is behind the surface currently being rendered. 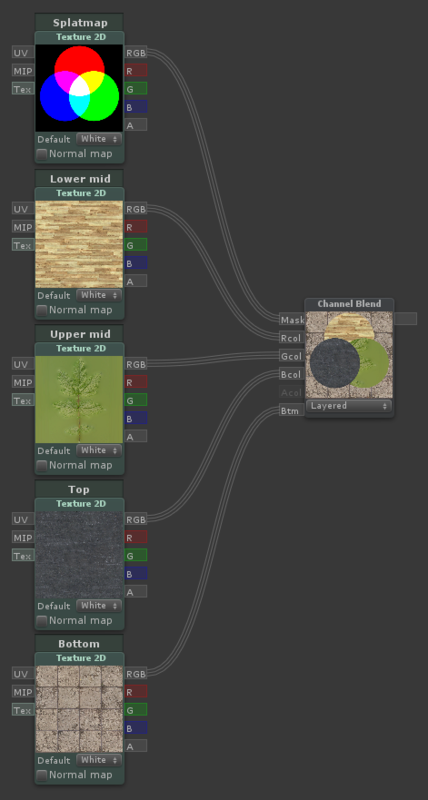 This can be useful for thin materials such as cloth or vegetation. 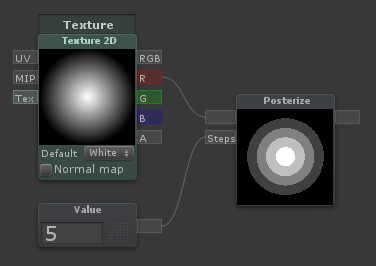 This is a way of controlling the light-normal angle falloff offset, which can be used to get an effect similar to subsurface scattering. Works best for smooth objects. 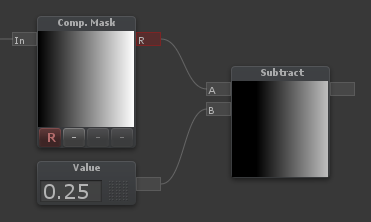 Inputting a red-ish value will make the red channel "wrap around" the object more than the others, making it look as if light passed into the mesh, and came out with a red wavelength, similar to how skin is shaded. 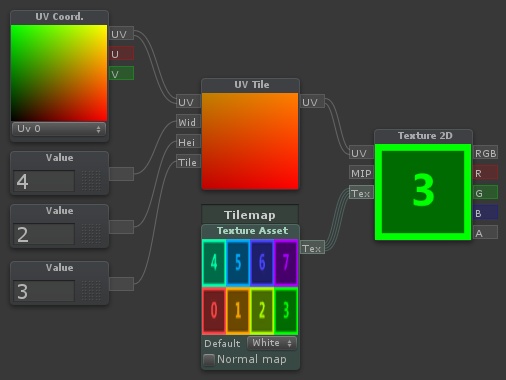 This input is active when your shader is set to unlit, allowing you to define custom lighting behaviour. The nodes you put here are per-light. 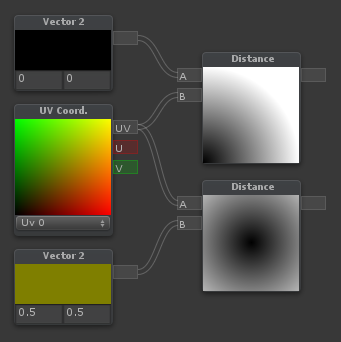 Opacity controls the transparency of the final pixel. 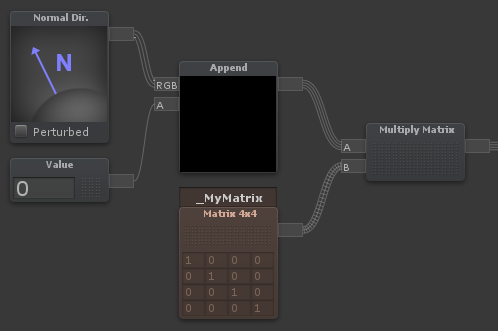 Note that partial transparency is generally finicky to get right, especially when using deferred rendering. Opacity Clip is a way of controlling if the current pixel/fragment should draw or not. Always use Opacity Clip for objects that need transparency, but not partial transparency, as Opacity Clip is easily sorted, which Opacity is not. Refraction is a screen-space UV offset for refracting the background pixels. Make sure you set the alpha to something below 1 before using, so that the refraction effect is visible. 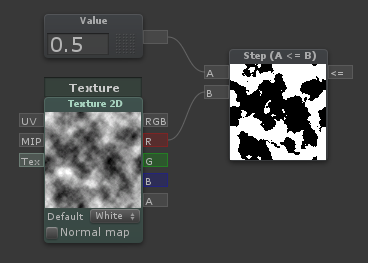 This will add an outline to your shader, rendered as an offset mesh with reversed face normals. Note that hard edges will break the outline. 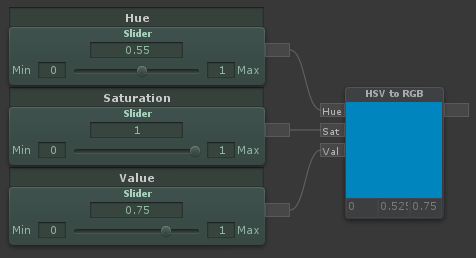 This controls the color of the outline. 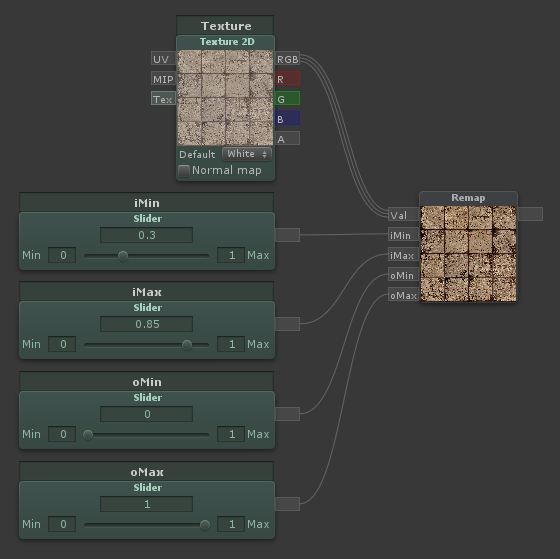 This can be used to animate shaders over time, or change the shape of the object in various conditions. 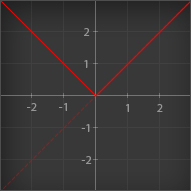 You simply insert a XYZ coordinate for how much each vertex should be offset. Outputs the sign of its input. 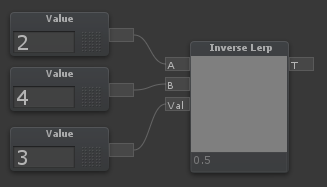 Blends smoothly between two values, based on where a third value is in that range, outputting values between 0 and 1. 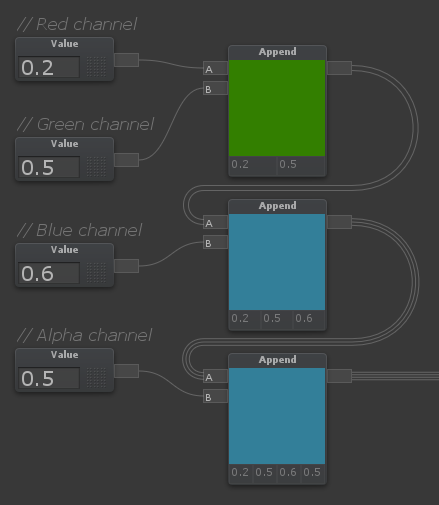 Think of it as a clamped inverse lerp with a smoothed output value. 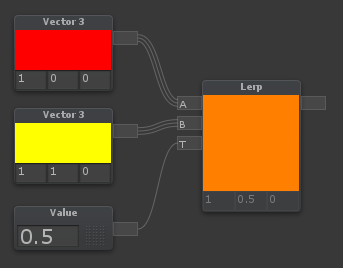 Lerp is used to blend between two values or colors. 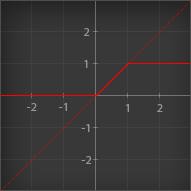 If [T] is any other value, it will output a linear blend of the two. InverseLerp is usually used to remap ranges. Outputs the Dot product between [A] and [B]. Essentially; for two normalized vectors, it outputs how far they point away from each other. 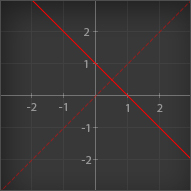 If they point in the same direction, it outputs 1, if they are perpendicular to each other, it outputs 0, if they point in opposite directions, it outputs -1. 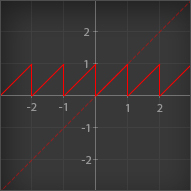 The graph below show how the different modes behave when using two normalized vectors. Transforms a vector from one space to another. You can switch between world/local/tangent/view. The built-in vectors are in world space. Directions into the normal input is in tangent space. Outputs the absolute sum of the two partial derivatives (rate of change) of the input vector in screen space along the X and Y-axis. Known as fwidth() in code. 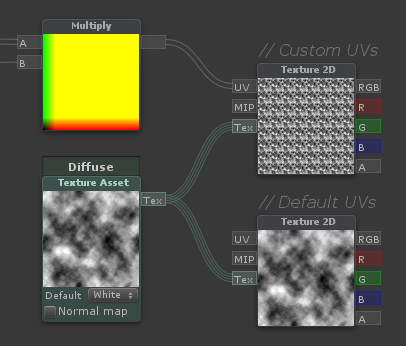 Outputs the input [UV] coordinates with a parallax offset derived from the [Hei] input, with a depth of [Dep] and a reference height [Ref]. 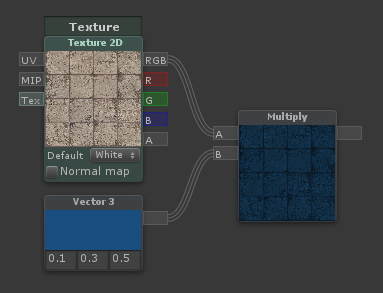 UV Tile can be used to get a tile within a tilemap, in the form of UV coordinates. 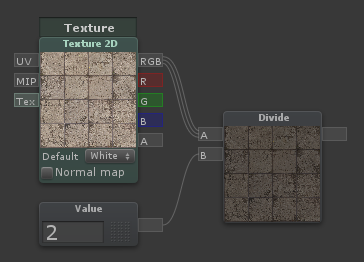 [Tile] is the index of the tile in the tilemap you want to extract. Specify this as an integer, where 0 is the first tile, starting from the bottom left. Outputs the scale of the object. 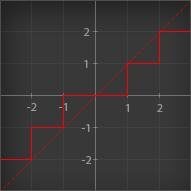 Checking reciprocal is computationally cheaper, but gives you the inverse scale (1 / scale). 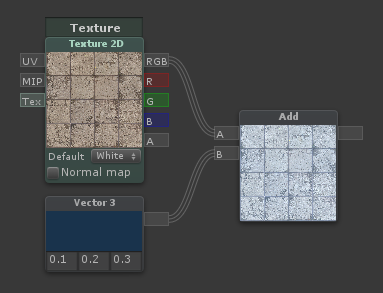 Note that this will not work if the mesh is batched. 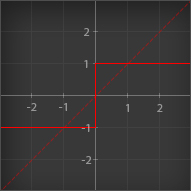 Outputs the direction of the mesh normal, in world space. 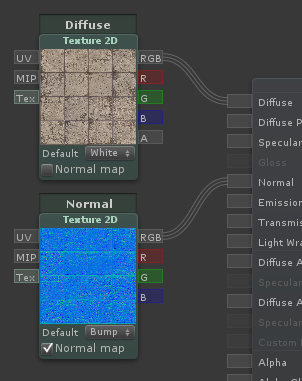 The Perturbed checkbox makes it use the normals after having applied the "Normal" input of the main node, such as a normal map. This is used to detect if the current face is a frontface or a backface. Outputs 1 on frontfaces, and either -1 or 0 for backfaces, depending on what you specify in the dropdown box. Outputs the position of the current light being rendered. Outputs time at different rates. Outputs the size of each pixel as a percentage of the screen width and height. 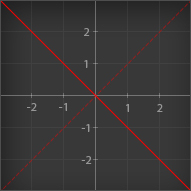 Outputs the arctangent of its two inputs coordinates. The range and unit depends on the dropdown box. By default it's in radians, from -pi to pi.